Architect Allan Shulman tackled one of Miami’s biggest architectural challenges when he designed a two-story home on a leafy lot dominated by a “solution hole,” a depression in the limestone terrain caused by erosion. Inspired by the jungle scenery of painter Henri Rousseau, Shulman strove to leave the delicate habitat undisturbed. “It didn’t seem like the kind of landscape you wanted to go trudging through with your boots, but one that you wanted to observe with detachment,” he explains. 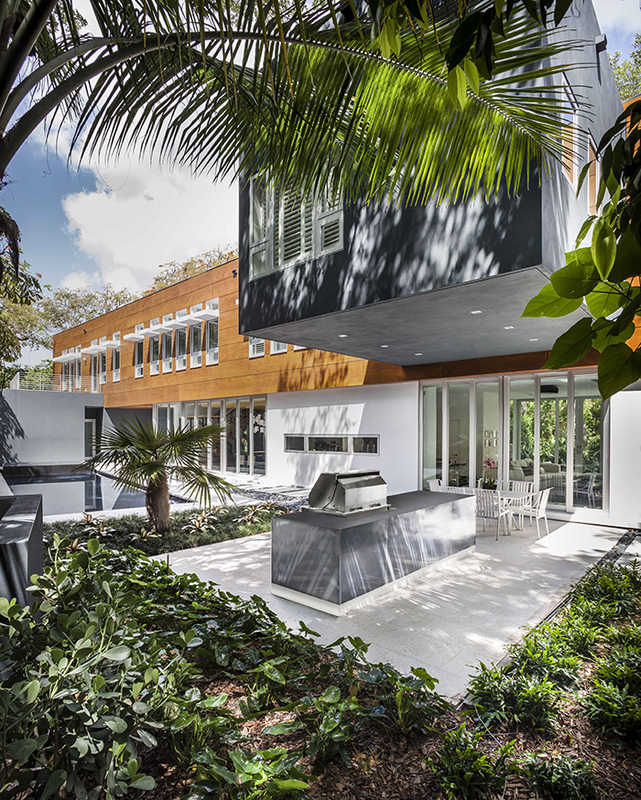 When architects Melissa and Jacob Brillhart set out to design their new home in downtown Miami, they drew inspiration from Florida modernism and the dogtrot model to create a tropical oasis in the city. The couple designed and built most of the home themselves, making it a truly personal haven. This prefab shelter by Dutch firm Cubicco was built to withstand Category 5 hurricanes, extreme heat and cold, ten-foot snow loads, and earthquakes. The 685-square-foot model is currently available in the Miami area for just over $115,000. This outdoor bar and lounge in Miami Beach is equal parts geometric shapes and beautiful oceanfront views.